Lavish Ceramics has the widest range of tiles exports in more than 35+ countries with its high quality and luxurious tiles best available in the tiling industry. Check out the Tiles Export of Lavish Ceramics or you can Call Us: +91 99786 00409. 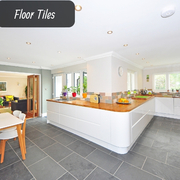 Floor Tiles: The floor tiles are widely used in our home, offices, industries and in other places as well. Introducing Lavish Ceramics that manufactures and exports different floor tiles like- - Double Charge Tiles - Soluble Salt Nano Tiles - Wooden Tiles - Outdoor Tiles - Glazed Porcelain. Lavish Ceramics is renowned as the largest tile manufacturers and has the widest range of tiles exports in more than 35+ countries with its high quality and luxurious tiles best available in the tiling industry. Different Types Of Tiles Available at Lavish Ceramics Wall Tiles: The wall tiles always play a vital role as it makes your home a perfect look. Sensuous white wedding wear net designer saree. Having fabric net and brocade. The beautiful laser cut embroidery work on the attire adds a sign of beauty statement to your look. Comes with matching blouse. (Slight variation in color, fabric and work is possible. Model images are only representative.). 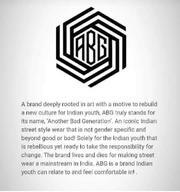 This business is based on companys such brand which are garments and accessories. Totally wearing things for saling and promoting totally online . this work is online official work not as a salseman..
Dual Purification For Complete Protection: Sharp Air Purier combines ACTIVE PLASMACLUSTER & PASSIVE FILTERATION to give Naturally Clean & Healthy Indoor Air. 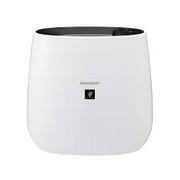 ACTIVE Plasmacluster Technology PASSIVE Filtration Plasmacluster ions are positive and negative ions that occur in nature Generates fresh indoor air Neutralises harmful VOC & toxic gases Kills microbes & other contagious pathogens Removes static charge Skin Beautication Highest Class H14 HEPA Filter (in EN1822 type) 1 1 2 Captures 99. Explore the beauty of Lavish Ceramics Elevation Tiles that is highly suitable for outer areas that makes a unique look. We do provide large varieties of tiles in attractive colours. Check out the Tiles Export of Lavish Ceramics or you can Call Us: +91 99786 00409. Lavish Ceramics is renowned as the largest tile manufacturers and has the widest range of tiles exports in more than 35+ countries with its high quality and luxurious tiles best available in the tiling industry. 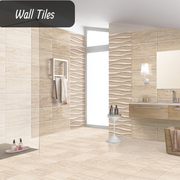 Offers the widest range of tiles that define the luxury of tiles. Here are some of the unique tiles design made by Lavish Ceramics. The purpose of bathroom floor tiles is to give a better look of your bathroom, avoid slip, and to provide water resistance. Introducing lavish ceramics bathroom floor tiles that are designed to avoid the chance from slip, provide rich look. Check out the Tiles Export of Lavish Ceramics or you can Call Us: +91 99786 00409. Learn Styling In Fashion Styling Course. Join Hamstech Online Courses! The Fashion Styling course at Hamstech Online Courses is designed with an aim to impart quality education in fashion styling. You get to learn how to mix and match clothing, make-up, hairstyling and so much more. Enrol in Hamstech Online Courses and become a fashion stylist! Visit hamstechonline.com for more information Call us now: +91 9010100240 Email: Support@hamstechonline. 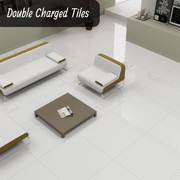 The double charge tiles of lavish ceramic come with durability that makes tiles to living life longer. The tile is made up of two layers, the upper layer is made by the mixture of raw materials influenced with colour pigments. The tiles are scratch proof with durability that makes it to tolerate heavy traffic. The vitrified tiles are the alternative to granite and marble flooring, it is best suited in the outside area as it is frost and water resistant. The vitrified tiles are made up of clay, silica, and quartz which makes durability. Check out the Tiles Export of Lavish Ceramics or you can Call Us: +91 99786. The bathroom wall tiles make your bathroom even more beautiful. I would like to introduce the Lavish Ceramics bathroom where you will find large varieties of bathroom tiles and are available in different sizes, colours and design as well. Check out the Tiles Export of Lavish Ceramics or you can Call. The porcelain tiles are printed by high-quality inkjet that makes rich texture. 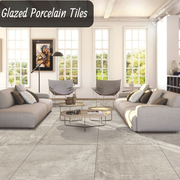 The reason to choose glazed porcelain tiles is it comes with durability with attractive shades. The porcelain tiles are available in two patterns like: glazed porcelain Check out the Tiles Export of Lavish Ceramics or. We are occupied by offering an extensive variety of Automatic Cashew Processing Machine in Ahmedabad. 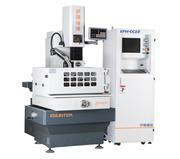 The offered apparatus is prepared little hardware, engine, shaft, modifications, switch, leveler and a control board. 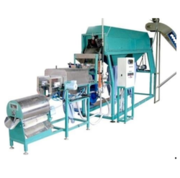 http://www.saileelafoodtech.com/our-products/automatic-cashew-processing-machine. The glazed porcelain tiles are printed by high-quality inkjet that makes rich texture. The reason to choose glazed porcelain tiles is it comes with durability with attractive shades. The porcelain tiles are available in two patterns like: glazed porcelain Check out the Tiles Export of Lavish Ceramics. APR Bright is a world-driving gathering of Lifting Businesses, serving an expansive scope of clients, including assembling and process ventures, shipyards, ports and terminals. 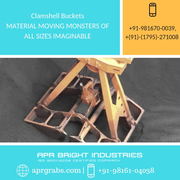 Not with standing your lifting needs, APR is focused on giving you lifting gear and administrations that expansion the esteem and viability of your business. The wall tiles always play a vital role as it makes your home a perfect look. Lavish Ceramics is a well-known brand for wall tiles and floor tiles with international standards and exports over 35+ countries. Browse among large varieties of tiles that come with attractive colours, shades, size and design. The floor tiles are widely used in our home, offices, industries and in other places as well. Introducing Lavish Ceramics that manufactures and exports different Types of floor tiles like- - Double Charge Tiles - Soluble Salt Nano Tiles - Wooden Tiles - Outdoor Tiles - Glazed Porcelain Tiles Check. The Kitchen wall tiles always play a vital role as it makes your home a perfect look. Lavish Ceramics is a well-known brand for wall tiles and floor tiles with international standards and exports over 35+ countries Check out the Tiles Export of Lavish Ceramics or you can Call Us: +91 99786 00409. The glazed tiles are printed by high-quality inkjet that makes rich texture. The reason to choose glazed tiles is it comes with durability with attractive shades. Check out the Tiles Export of Lavish Ceramics or you can Call Us: +91 99786 00409. Gujarat ads Gujarat, All categories classifieds Gujarat, All categories free ads Gujarat, ads for sale Gujarat, ads to buy Gujarat, FREEADS in India Gujarat Page number 10-1. Find here ads for sale, to buy and rent in Gujarat. Goods for sale in Gujarat, vehicles for sale in Gujarat, Gujarat real estate for sale, Gujarat property for sale, property for rent in Gujarat, business ads in Gujarat, Gujarat business classifieds, services in Gujarat, Gujarat services ads, jobs in Gujarat, pets for sale in Gujarat, Gujarat dating, Gujarat cars for sale.